LOCATION, LOCATION, LOCATION! 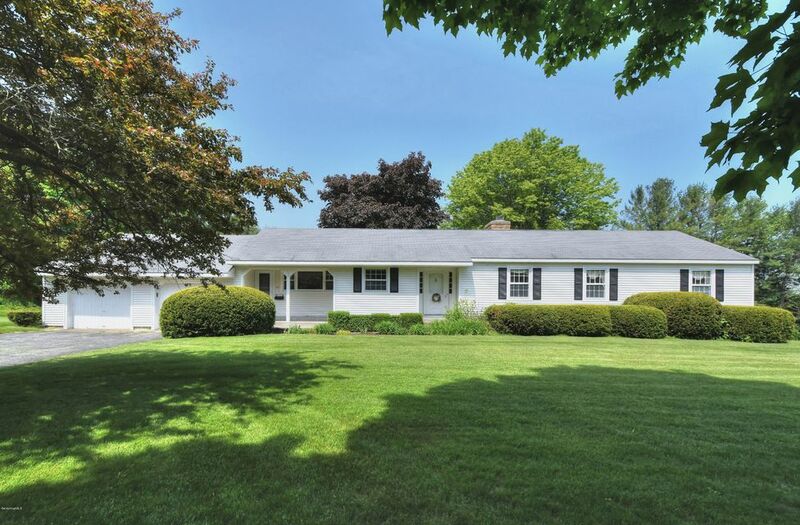 This bright, spotless and well built Ranch has been well maintained and is located on one of Pittsfield's premiere neighborhoods. Superbly sited, this spacious home features 4 bedrooms, eat-in kitchen, 2 car attached garage, hardwoods throughout, tiled baths and a huge walk-out lower level with fireplace, additional bonus rooms and plenty of storage all set on a sunny level lot! The list of amenities here is long and highlighted by a wood burning fireplace in the expansive living/dining room, charming built-ins, a cabinet packed kitchen, updated roof, economical gas heat, town water and sewer and a relaxing screen porch overlooking a most perfect, level backyard with recreation options galore. A beautiful combination of location, timeless appeal and value!